Your chances of being involved in a volcanic eruption are pretty low compared to other natural disasters, such as flooding or earthquakes. Still, it’s good to know what to watch for and what to do. Volcanoes are like giant vents for the Earth. Imagine a pot of chili bubbling on the stove. If it has a lid on it, steam can’t escape. The chili might just bubble up and erupt over the sides of the pan. Take the lid off, though, and the heat can escape. Deep under the earth’s crust is magma – rock that is so hot that it is a liquid. Along with this rock are explosive gases. The earth’s crust is not one solid piece, but many pieces that fit together like a puzzle. When these pieces rub up against each other, they create pressure. Magma and gases build up. Finally, they explode through holes or vents in the earth’s surface. As the magma, or lava, cools and hardens, it forms mountains over millions of years. These mountains are known as volcanoes. Volcanoes are fascinating and terrifying. They spew lava, rock, poisonous gases and ash with great power. Lava is much, much hotter than any oven –over 2000 degrees Fahrenheit. As it pours out of the Earth, it can burn anything in its path. Poisonous gases and ash can cause serious illness or death. The main parts of Volcano path. There are about 1,900 active volcanoes on the earth. This means they have erupted recently or they might erupt. Some volcanoes are extinct. Over 80 volcanoes have been found in the ocean. Most volcanoes happen on fault lines, or cracks in the Earth’s surface. There are three different types of volcanoes – Strato (Composite), Shield (these are the largest volcanoes) and Dome. A volcano has three categories to fall under: Extinct (was a volcano but will never erupt again or is not expected), Dormant (has not erupted in thousands of years but is likely to erupt again), Active (has the potential to erupt at any stage or has erupted since the last ice age). Most of the earth’s volcanoes are in the Pacific Ocean, in an area called the Ring of Fire. The word “volcano” comes from Vulcan, the Roman god of fire. Lava from volcanoes can reach temperatures of 2,000 degrees Fahrenheit. Volcanoes spew out ash and toxic gases, as well as lava and lava boulders. 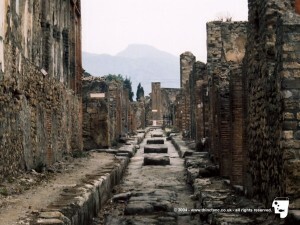 Pompeii was an ancient city that was completely buried in ash and lava. Mauna Loa in Hawaii (Pacific Ocean) is the world’s largest active shield volcano standing at 4,170 m high. Mauna Kea also in Hawaii is a taller volcano with a height of 4,207 m but currently is dormant. Mauna has not erupted since 2460 BC. Mount Etna in Sicily (Italy) is Europe’s largest active volcano at 3,329 m high. Mount Damavand a stratovolcano in Iran is the largest volcano in Asia standing at 5,610 m.
Mount Erebus is the largest active volcano in Antarctica with its peak reaching 3,794. 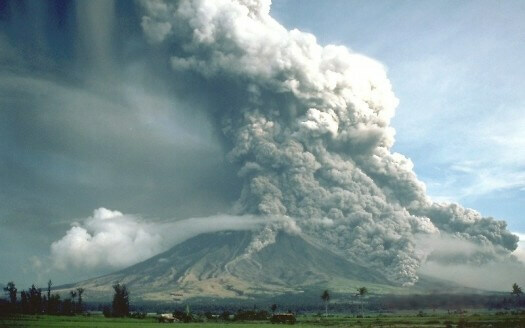 Indonesia has the most active volcanoes in the world and remains one of the most dangerous areas. 10% of the earth’s active volcanoes can be found in Japan. Over 20% of the earth’s active volcanoes are underwater. The volcanic pumice rock is the only known rock that can float in water. This is a video explaining about volcanic eruptions. Question: Are there any benefits to volcanoes? Answer: Volcanoes relieve pressure inside the earth, similar to when you lift the lid on a pot of simmering food. Soils around old lava fields are often fertile and grow good crops. Question: Are all volcanoes mountains? Answer: Sometimes volcanoes can be plateaus or even cracks in the ground. Question: How serious are volcanoes to people? Answer: Most volcanoes occur where few people live, but when a volcano actively erupts, it can be very dangerous to anyone living nearby. Over 260,000 people have died in volcanoes in the last 300 years. Many people live in the valley beneath Mt. Rainier, the most dangerous volcano in America. The volcano isn’t likely to erupt, but dangerous mudslides called Iahars roar down its peaks. Enjoyed the Natural Science for Kids website all about Volcanoes info? Take the FREE & fun all about Volcanoes quiz and download FREE Volcanoes worksheet for kids. For lengthy info click here. Declan, Tobin. " Fun Volcano Facts for Kids ." Easy Science for Kids, Apr 2019. Web. 23 Apr 2019. 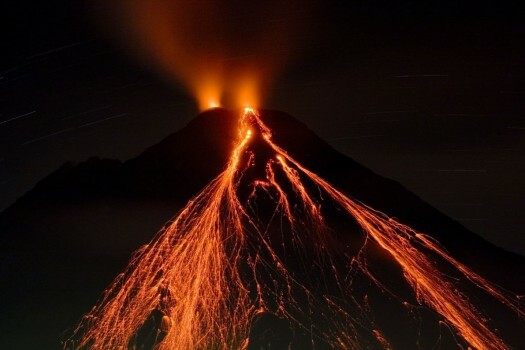 < https://easyscienceforkids.com/all-about-volcanoes/ >.